There is adjustable baffle device equipped at the material outlet, which can reduce the back flow of materials from the falling pipe of elevator. And then the empty buckets come back to the boot section of elevator along the rotation of chain and are lifted after filling with materials including the dropping material and discharge again. By such a repeated circle the materials in bottom are lifted to a given height and then discharged, so as to meet a requirement of vertical lifting. 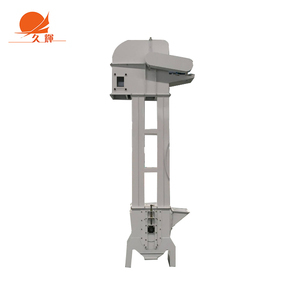 YZC-type vibration bucket elevator, while lifting the materials, you can also complete the drying and cooling of materials. We are always focusing on quality, pursuing innovation and devoting ourselves to technology improvement all the time. With the professional technical teams and rich manufacturing experience, we can supply excellent vibrating machines for global customers. 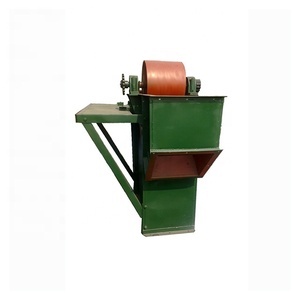 The machine is belt bucket convey type and very suitable for convey grain, rice, wheat, soya bean, because it doesn't cause damage to the material. 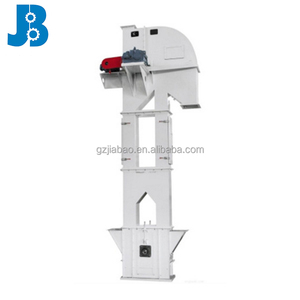 grain/rice/wheat bucket elevator features: 1.The grain/rice/wheat bucket elevator can convey both general powder , small granule materials and also rubbed materials. 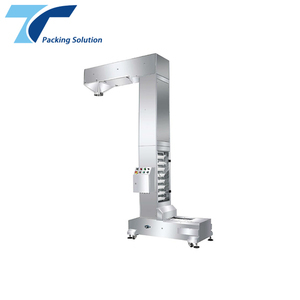 3.Date of delivery9 We will arrange the production and shipment as soon as possible when we received the deposit, and update the information with the customer on line. We have rich experiences in conveyor manufacture industry for over 15 years, we have 5s workshop environment to make sure all the procedure can be in order and we check in every procedure to confirm the quality and standard. We build machines by every steps with process standard, every process quality should be strictly controlled, and all the materials are decided by customer &rsquo; s request such as SS304, carbon steel, pvc, pu, rubber. 3 Q: How can you describe your service9 A: We always ready to provide professional service for each customers, n o matter which supplier you will choos e, the same warmly reception won't be absent . 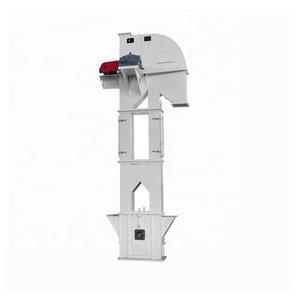 It can also raise high temperature products that below 250&deg;C with the max height of 40m Feature Z-type bucket elevator has the features of smaller overall dimension, and wide elevating scope, higher elevating height; lower driving motor, lower environmental pollution and long working life. 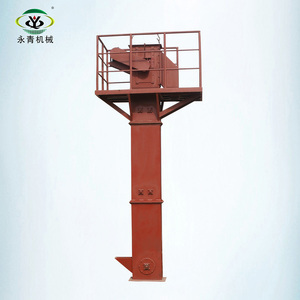 Application Z-type bucket elevator is widely used in mining, cement, metallurgy, building materials, food, coal and other industries. 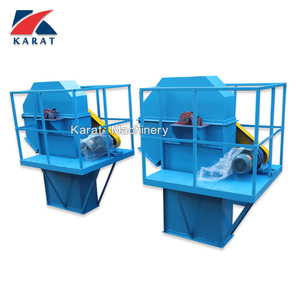 Detailed Images Packing & Delivery Related Products Q:What is your main product9 A:We are a factory produces vibrating screen, conveying equipment,drying equipment,mixing equipment,pulverize equipment etc. 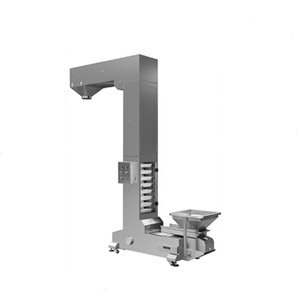 Alibaba.com offers 3,396 bucket elevator price products. About 32% of these are conveyors, 1% are food processing machinery parts, and 1% are bolts. A wide variety of bucket elevator price options are available to you, such as carbon steel, rubber, and stainless steel. You can also choose from conveyor system, belt conveyor, and chain conveyor. As well as from heat resistant, fire resistant. And whether bucket elevator price is free samples, or paid samples. There are 3,398 bucket elevator price suppliers, mainly located in Asia. The top supplying countries are China (Mainland), Turkey, and India, which supply 99%, 1%, and 1% of bucket elevator price respectively. 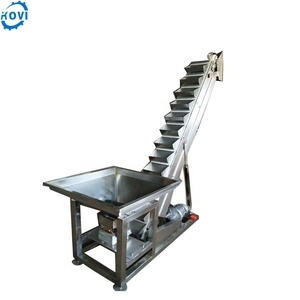 Bucket elevator price products are most popular in Domestic Market, Africa, and South Asia. You can ensure product safety by selecting from certified suppliers, including 1,557 with Other, 1,492 with ISO9001, and 167 with ISO14001 certification.